Smiles change lives! A healthy perfect smile is why many children and adults choose to undergo orthodontic treatment. Around friends and family, a less than attractive smile is not as noticeable. However, when meeting new people, making new friends, and in the workplace, your smile is more obvious to those who don’t know you. At the orthodontic office of Lisa P. Howard DDS MS in Scarborough ME, we create beautiful smiles to last a lifetime. Dr. Howard will discuss the different treatment options available to meet your personalized needs. Both adults and children are evaluated the same way and treatment varies depending on the condition of the teeth and skeletal alignment. Treatment time can run as short as nine months or as long as three years depending upon the individual problem. An orthodontist, who is trained in tooth movement and skeletal jaw development, is your best option and most skilled dental profession to achieve that perfect smile. Our goal is to provide the highest quality, personalized orthodontic treatment for all of our patients in a supportive and caring environment. 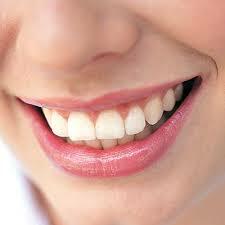 We believe that facial aesthetics and a beautiful smile are a very important component of each person’s self-esteem. Every effort is made to make orthodontic treatment financially possible for all who desire optimal oral health and who have an appreciation for the care that we provide. The comfort of our patients is a high priority of our team, and each of us is dedicated and devoted to open communication with our patients and their families.